From the rusting hulks of the industrial era, from China to America, from the bodily functions of blood to the philosophical musings on the allegories of nature and man, Jean-Michel Rabaté’s Rust in the 'Object Lessons' series is a fascinating exploration of this chemical process. Fittingly introducing us to his subject through the most obvious - and what comes to mind immediately (for me at least) when we consider rust - Rabaté describes industrial wastelands and the slow decay of iron as it oxidises creating layers of rust. In a country where corrugated iron and steel infrastructure is synonymous with growth and decline, construction and patched sheds, placing ourselves in the world of the American Dust Bowl or the industrial decline of China or the agricultural wastelands of Australia is more a matter of scale than of foreign territory. In these discussions of rust, Rabaté draws on cultural references in literature and film: Paul Hertneky’s memoir Rust Belt Boy, Wang Bing’s documentary Rust, and an Australian novel by Paddy O'Reilly, The Fine Colour of Rust. Where the reader starts with the idea of decay and decline, Rabaté's analysis moves us to see rust also as a saviour, a surprising and not always negative keeper of time. Using the same method, the conversation moves towards the metaphoric, and here again texts illustrate the author’s thinking. Coetzee’s The Life and Times of Michael K is explored as a metaphor for renewal and the land giving, through its richness in iron, a plentiful supply of vegetables - the one the main character is most enamoured of being the red-orange (rust-coloured) pumpkin. 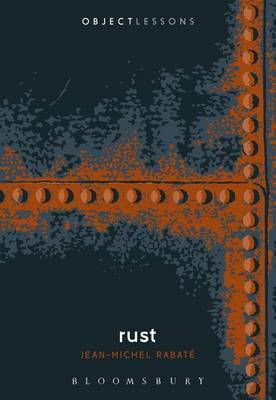 As we are drawn into this examination of the notion of rust, oxidation, iron - the ideas of nature in flux - the text moves into deeper discussions of the works of several philosophers: Hegel and Ruskin each have chapters devoted to them, lovingly entitled 'Hegel and the Restlessness of Rust' and 'Ruskin: Nothing Blushes like Rust'. 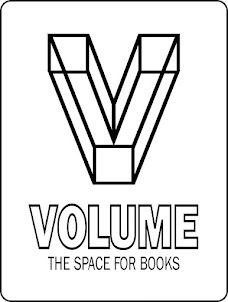 These are thoughtful, lively and witty explorations worth re-reading. Alongside these more academic musings are anecdotal tales from the author’s childhood - his pet turtle features with her rust coloured shell, as does his anaemia and the prescribed medicine of fresh horse’s blood. Another writer explored in response to the ideas of rust and decay is Kafka, and his story ‘Jackals and Arabs’, which features rusty scissors and is also an allegory for his views on the politics and machinations of Zionism and its effect upon the Arab communities of Palestine. In the final parts of the book Rabaté extends the conversation of rust to imperfection, to the flaw that makes an object exquisite - the mark of time, nature and artist - in the Japanese concept of wabi-sabi, in the sculptural works of monuments purposely made to alter over time through oxidisation, and in architecture that allows the metal to record time on its facades. The concluding chapter introduces the hopefulness of rust - the discovery of ‘green rust’, an ecological tool that can clean iron-heavy waters and that may lead to technology that will break down waste. Rust is ‘infinitely restless’ in all its guises - physically, emotionally and intellectually - and Rabaté’s musings are infinitely provocative with their eclectic amalgams. Another excellent addition to the 'Object Lessons' series.